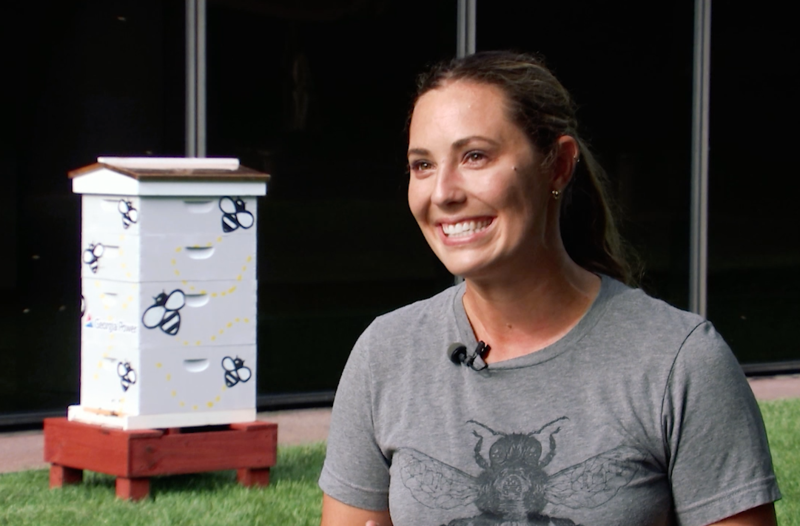 You always hear “Save the bees!” but the reaction most people have is “Okay, but how?” For Leigh-Kathryn Bonner, it was a no-brainer: Start a beehive business (or beesness as she calls it) in order to help restore the honey bee population. Bonner is a fourth-generation beekeeper and knows the importance of the species. For instance, did you know that every third bite of food you eat is thanks to a pollinator? Or that 70 of the worlds top 100 food crops are pollinated by bees? Bees bring so much value to our every day life, whether people realize it or not! Sadly, America’s honey bee population declines by 30% every year. There are 4 P’s that attribute to the dramatic decrease: Pests, pesticides, poor management, and poor nutrition. Bonner is working to change that. 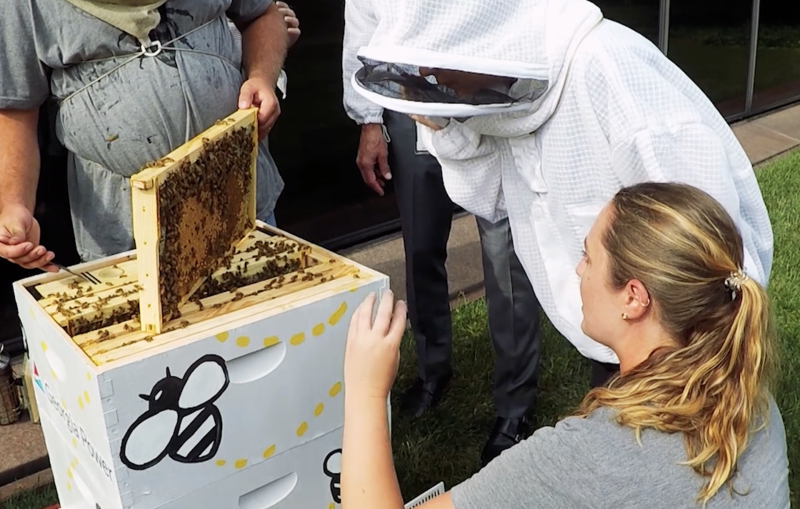 As a junior at NC State, Bonner started Bee Downtown, a company that installs and maintains honeybee hives in corporate campuses, such as Georgia Power, Chick-fil-A, and Burt’s Bees. Bee Downtown is comprised of beekeepers who ensure the honey bees in the hives they’ve planted have everything they need in order to do their jobs and flourish. Learn more about Leigh-Kathryn Bonner and the amazing efforts of her company, Bee Downtown, below or by visiting their website!